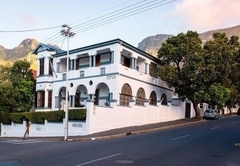 Esperanza Guest House is an Oranjezicht Bed & Breakfast providing accommodation in 6 guest rooms for tourists visiting the City Bowl region. 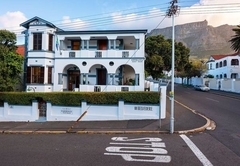 Situated on the slopes of Table Mountain, this lovely Victorian mansion offers lovely accommodation in Cape Town and boasts beautiful views of Table Bay and the city. 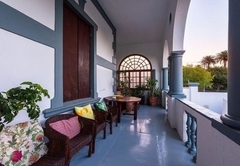 It is located close to tourist attractions, beaches and restaurants. 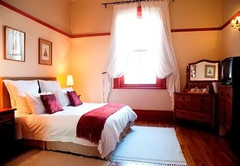 Each room has tea / coffee making facilities, DStv, free Wi-Fi, fans and heaters. Extra beds or a bunk bed may be added to the rooms. 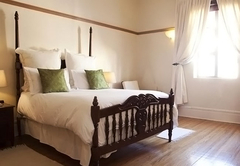 The spacious room has a King-size bed and an en-suite bathroom. It can be converted into a twin bedded room. 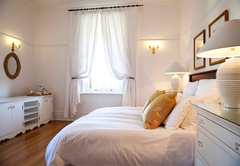 The elegantly decorated room is furnished with a Queen-size bed and has wonderful views. There is an en-suite bathroom. 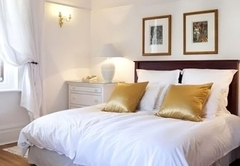 This room is a bit smaller than other rooms and is furnished with twin beds. It has an en-suite bathroom. 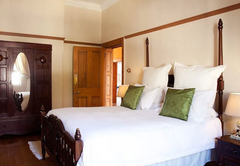 This room has an en-suite bathroom and is furnished with a Queen-size bed. Boasting lovely views this en-suite room has a Queen-size bed. Furnished with a King-size bed this room can be converted to a twin room. It has an en-suite bathroom. Spacious and elegantly decorated. 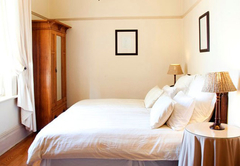 Has a large King size bed, tea and coffee making facilities. TV, m-net, fan, heater, safe, Wi-Fi internet. Great views. 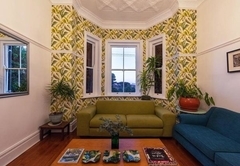 This room can be converted into a twin bedded room. Spacious and elegantly decorated. 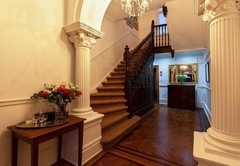 Has a large queen bed, tea and coffee making facilities. TV, m-net, fan, heater, safe, Wi-Fi internet. Great views. Just slightly smaller than the rest. Elegantly decorated. 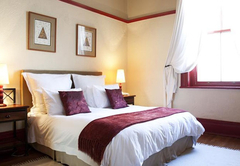 Has twin beds, tea and coffee making facilities. TV, m-net, fan, heater, safe, Wi-Fi internet. Great views. Spacious and elegantly decorated. 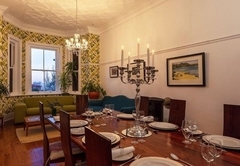 Has a large King size bed, tea and coffee making facilities. TV, m-net, fan, heater, safe, Wi-Fi internet. Great views. 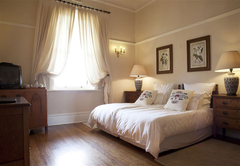 This room can be converted to a twin bedded room. Response timeEsperanza Guest House typically responds to requests in 5-10 minutes.